The examples used in this course are updated as new espionage cases surface. The media has treated the recent SVR Illegals case as a "farce," partly because they don't understand what Illegals are all about. It is not like the normal spies like CIA officer Aldrich Ames or FBI SSA Robert Hanssen, who both sold information to the Russians. The other more subtle reason is because of Active Measures/manipulation on the part of Russian intelligence. It is only to the SVR's advantage for Americans to see this case "funny" and unthreatening because this will then lower our defenses, making it easier for Russian spies to operate. The SVR doesn't want you to know about their most secret methods.The Russian intelligence services have continually used "Illegals” for the past 80 years because they can freely operate in countries where they are inserted and be undetectable unless they are betrayed. Understanding the true nature of Illegals is important. They are planned, very long-term operations. Illegals can spot, assess, elicit and sometimes even recruit, all under a 'false flag' with little suspicion aroused. In time of hostilities, they are the 'stay-behind' officers who collect intelligence and conduct sabotage. In this 1-day course taught by counterintelligence expert David Major, President of The Centre for Counterintelligence and Security Studies (CI CENTRE), you will learn the mission, training, tradecraft, operations, past and present cases, and the other countries that use this same dangerous methodology. Dangerous, that is, to the host country that becomes penetrated by an unseen enemy. Options for this course include classroom size of 30 people or auditorium size of up to 500 people. Download flyer for your organization. This course is on the GSA Schedule for quick, easy and immediate purchasing at the already-negotiated lowest, best price. It is a a great way to meet your organization's requirements for an annual security awareness briefing. Your employees will pay attention because the information is recent and relevant and presented in a dynamic, multimedia, interactive format. "These courses really give non-security personnel an idea about how important security really is." "The course will definitely help in recognizing the 'clues' when interviewing people on a daily basis." "Very informative. More aware of what motivated some individuals to spy and things to look for." "Instructor's depth of knowledge and ability to communicate story of current counterespionage cases brings to life the world we work in." "Wonderful content, very useful, fascinating information." "Helps to open your eyes and be a little more vigilant." "As a result of this class, I'm going to pay more attention to suspicious activity at work." "This is an excellent course! I've thoroughly enjoyed it and look forward to taking similar classes in the future." "I can take this information back to my job to evaluate security incidents." "Very well-organized. Helpful that the conditions leading to espionage (financial hardship, etc) are explored." "Enjoyed hearing about cases that are not as well known." "Very interesting subject matter. Fascinating insight into the minds of traitors." "Excellent overview of multiple cases." "It's very interesting to hear about more current espionage cases. Through this class, I've also heard about several cases that I wasn't aware of before." "Great CI awareness and education!" "Excellent information and material. Had some knowledge of some of the cases prior to the class but gained much more info that I could have imagined." "The course helped me learned some new concepts in counterintelligence issues. I have a desire to work in CI and this course reinvigorated this desire." "Excellent course--info very interesting. Increased awareness." "Fascinating course. Provided a lot of detail and insight to profiles of recent spies. Thoroughly enjoyed the class (my first CI class) and plan to enroll in others." 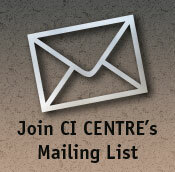 "Another great course from the CI Centre." "Excellent presentation of some of the recent American espionage cases."